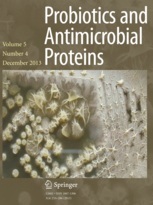 Title : Probiotics L. acidophilus and B. clausii Modulate Gut Microbiota in Th1- and Th2-Biased Mice to Ameliorate Salmonella Typhimurium-Induced Diarrhea. Abstract : Gut microbiota play important role in maintaining health. Probiotics are believed to augment it further. We aimed at comparing effects of probiotics, Lactobacillus acidophilus (LA) and Bacillus clausii (BC) (a) on the gut microbiota abundance and diversity and (b) their contributions to control intestinal dysbiosis and inflammation in Th1- and Th2-biased mice following Salmonella infection. We report how could gut microbiota and the differential immune bias (Th1 or Th2) of the host regulate host responses when challenged with Salmonella typhimurium in the presence and absence of either of the probiotics. LA was found to be effective in ameliorating the microbial dysbiosis and inflammation caused by Salmonella infection, in Th1 (C57BL/6) and Th2 (BALB/c)-biased mouse. BC was able to ameliorate Salmonella-induced dysbiosis and inflammation in Th2 but not in Th1-biased mouse. These results may support probiotics LA as a treatment option in the case of Salmonella infection. Authors : Pradhan B, Guha D, Naik AK, Banerjee A, Tambat S, Chawla S, Senapati S, Aich P.